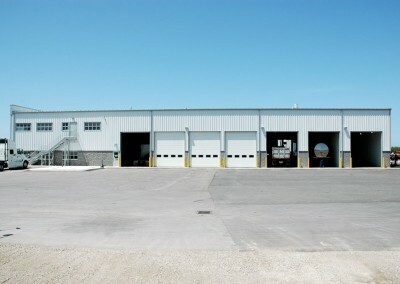 This 23,000 sq. 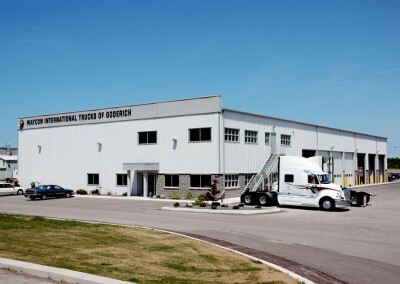 ft. facility was constructed to house this growing company’s sales and service business for International Trucks in the Goderich area. 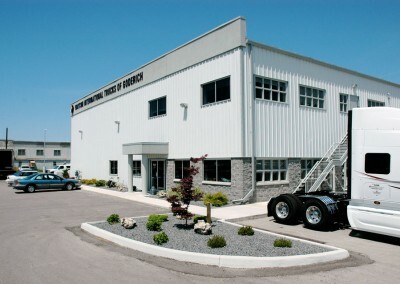 Amenities include a two-storey office area, 14 service bays, a lube pit, aligner pit and overhead crane. 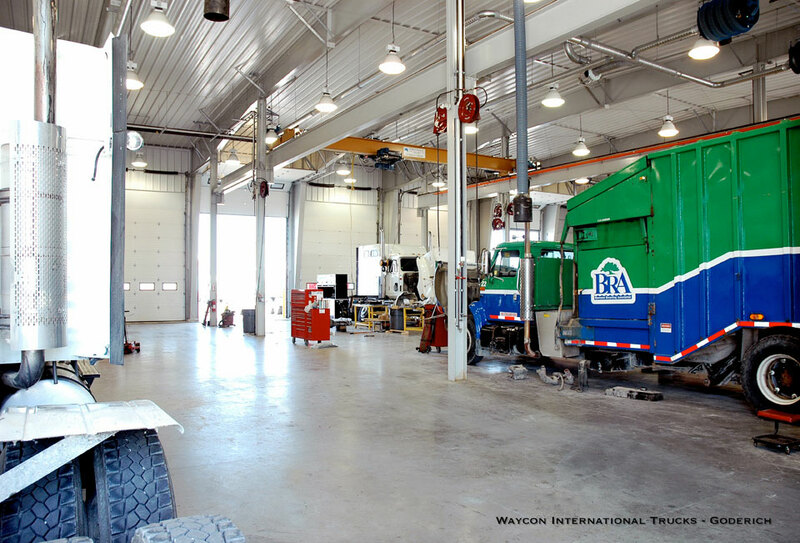 The service bays are heated with an in-floor, hot-water heating system which provides a very desirable environment for the mechanics and technicians working within this space. 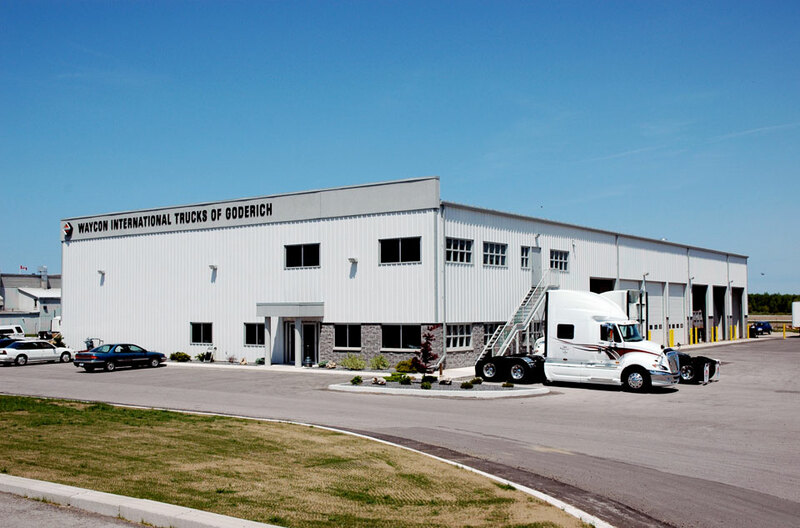 NA Engineering Associates Inc. provided design services for all elements of this new building, including architectural, structural, mechanical, electrical, and site services designs. 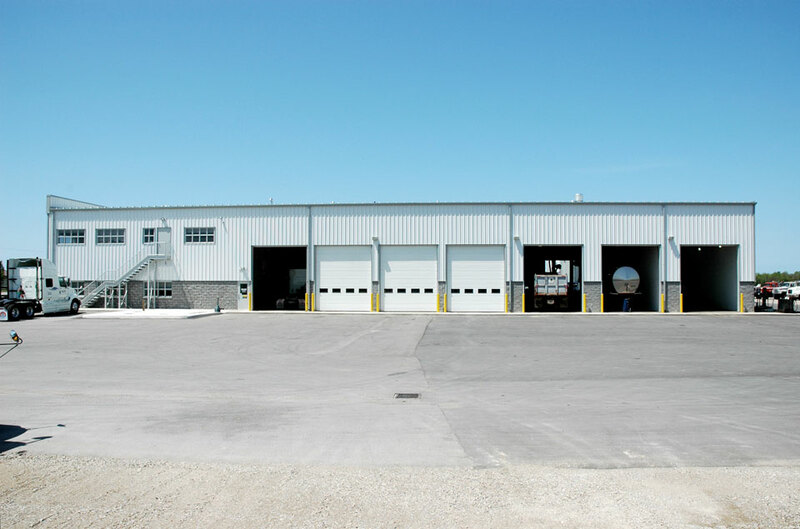 The building structure is largely comprised of structural steel, both pre-engineered and conventionally framed, bearing on cast-in-place concrete foundations. The second level floor is made up of pre-cast concrete slabs, bearing on structural steel. 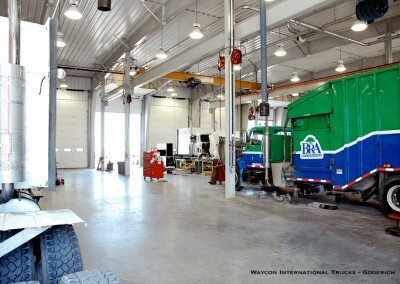 Heavy loads are imposed on the service area floors by the many types of transport truck and construction machinery that are serviced here. A specially designed floor slab was designed and constructed to ensure that this key component of the work area remains sound for the long-term.